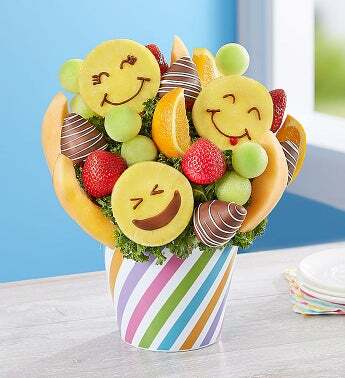 Send a treat that will have them laughing out loud with delight. 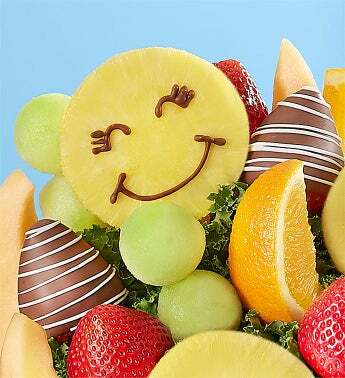 Juicy pineapple slices hand designed with happy emoticon faces together with decadent dipped strawberries and more, this colorful arrangement is as adorable as it is delicious. Perfect for wishing someone a happy birthday, saying “congrats!” or as a surprise just because.